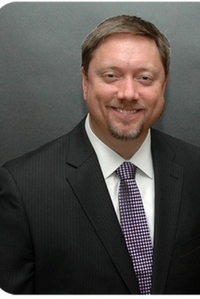 Jason C. Maier resides in West Palm Beach and has practiced law in Florida since May 2000. Mr. Maier is licensed to practice in all Florida State and Federal courts relevant to his practice areas. In addition, he has achieved Florida Bar Board Certification in the area of Construction Law – a distinction presently held by only 291 attorneys in Florida. Board Certification is the highest level of evaluation by the Florida Bar. As such, Mr. Maier is considered a specialist in the area of construction law. In 2012, Mr. Maier was awarded the “Rising Star” distinction by Super Lawyers – a Thompson Reuters publication known in the legal community. Over the past thirteen years, Mr. Maier has represented clients in a variety of matters and has experience in the following types of disputes: construction law (contract drafting and negotiation; bid solicitation and award and protest; lien claims; payment and performance bond claims on public and private projects; representation of design professionals (architects and engineers); construction defect claims; insurance coverage disputes; condominium law; homeowner’s association law; liens for assessments; negligence claims; medical malpractice; personal injury; insurance coverage; fraud claims; contract drafting and interpretation; probate litigation; products liability; premises liability; fire loss; and insurance subrogation claims – to name a few. During his career, Mr. Maier has worked for an insurance defense law firm, a private boutique firm, and a large local law firm and has represented individuals and corporations in matters both large and small – including several complex multi-million dollar claims.